Names have always meant a lot to me. I not only find them intriguing, but also beautiful. I hadn’t realized until I started the book that it was a devotional with thirty-one different names, corresponding with thirty-one different days. In the end I decided to read it over the course of two days, and really enjoyed going through it quickly. Reading through the book while sick was a good way to find encouragement, and it helped me remember and dwell on how powerful, wonderful, and all-knowing God is. The book quotes a lot of Scripture, and talks a good amount about the attributes of God, so that was a big plus. Unfortunately, I didn’t find the formatting to be very appealing. There were also numerous grammatical inconsistencies that left me wanting to cringe. (For example, when talking about God the author sometimes capitalized the “H” in He, and sometimes she didn’t, and there didn’t seem to be any reasoning behind her choice.) There were also some times when the author sounded redundant, which could have been fixed with just a little bit of editing. Other then that though, I enjoyed the book and am thankful for it. I didn’t agree with everything in the book, but I wouldn’t be surprised at all if I picked it up again in a year or two to re-read it. Overall the content was uplifting, biblical, and easy to understand. I’m giving Experiencing God Through His Names 4 stars out of 5, and 7 stars out of 10. 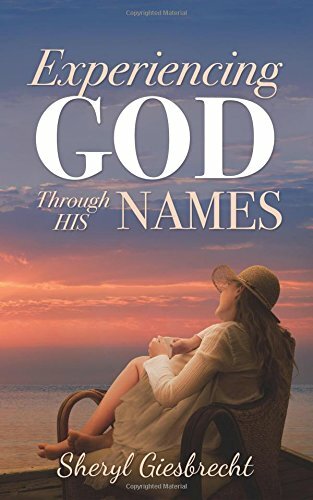 I would recommend it to people wanting a easy-to-read book that will help them learn a little bit more about the character of God.